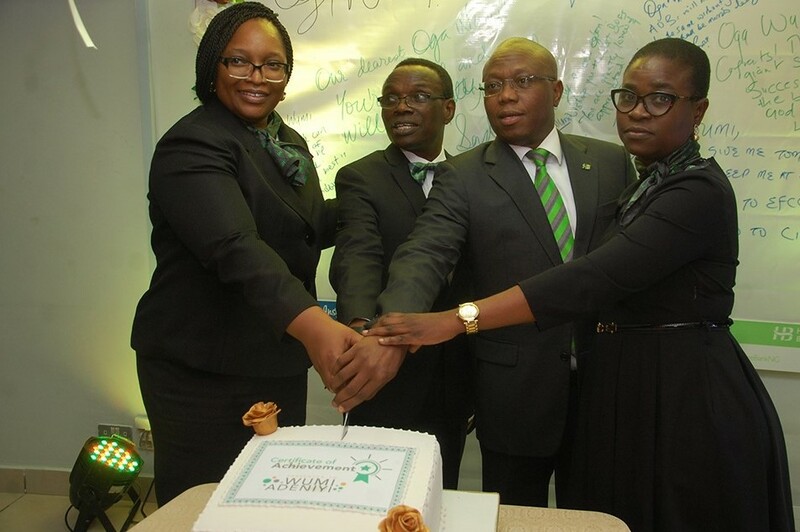 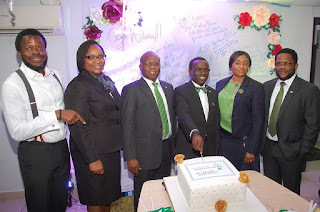 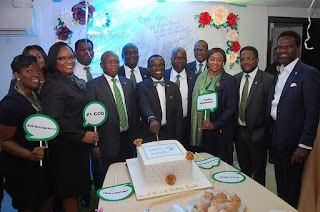 L-R: Chief Compliance Officer, Heritage Bank Plc, Oluwatomi Ojo; outgoing General Manager/Chief Compliance Officer, Wumi Adeniyi; Executive Director, Jude Monye; and Divisional Head, Customer Experience and Analytics, Kikanwa Akpenyi, during send forth of out-going General Manager/Chief Compliance Officer of Heritage Bank Plc at the Bank’s head office in Lagos... on Monday. 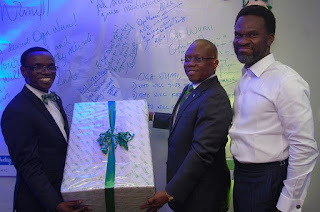 L-R: Outgoing General Manager/Chief Compliance Officer, Heritage Bank Plc, Wumi Adeniyi; Executive Director, Jude Monye and Divisional Head, Coronate Communications, Fela Ibidapo, during send forth of out-going General Manager/Chief Compliance Officer of Heritage Bank Plc at the Bank’s head office in Lagos... on Monday. L-R: Directorate Head, Service Bank/Chief Information Officer, Heritage Bank Plc, Ike Williams; Chief Compliance Officer, Oluwatomi Ojo; Executive Director, Jude Monye; outgoing General Manager/Chief Compliance Officer, Wumi Adeniyi; Directorate Head, South South and South East, Osepiribo Ben-willie; and Regional Executive, Lagos & South-West Office, Dike Dimiri, during send forth of out-going General Manager/Chief Compliance Officer of Heritage Bank Plc at the Bank’s head office in Lagos... on Monday.